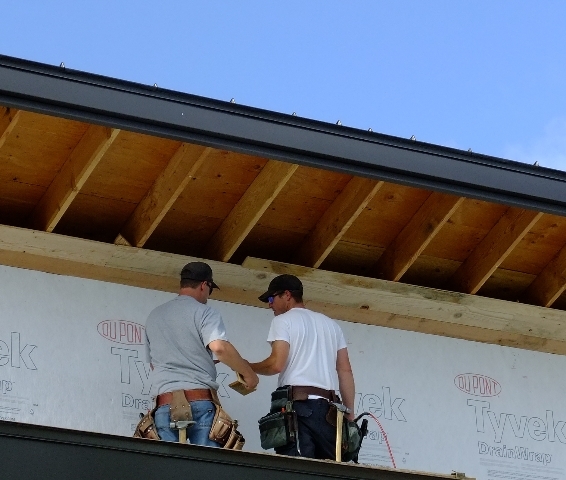 Scott Creson and Tivan Bush working on the soffets. 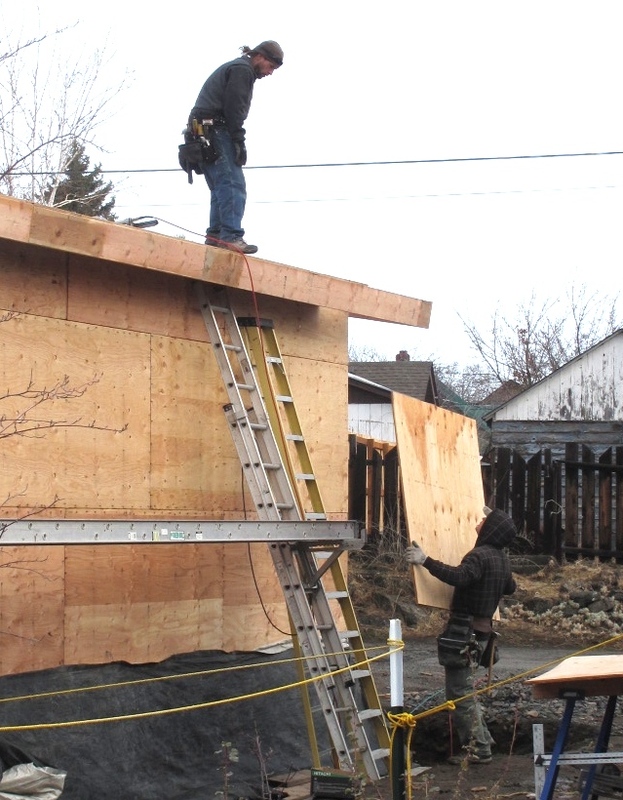 Jason and Scott work through some stiff winds framing the new garage. 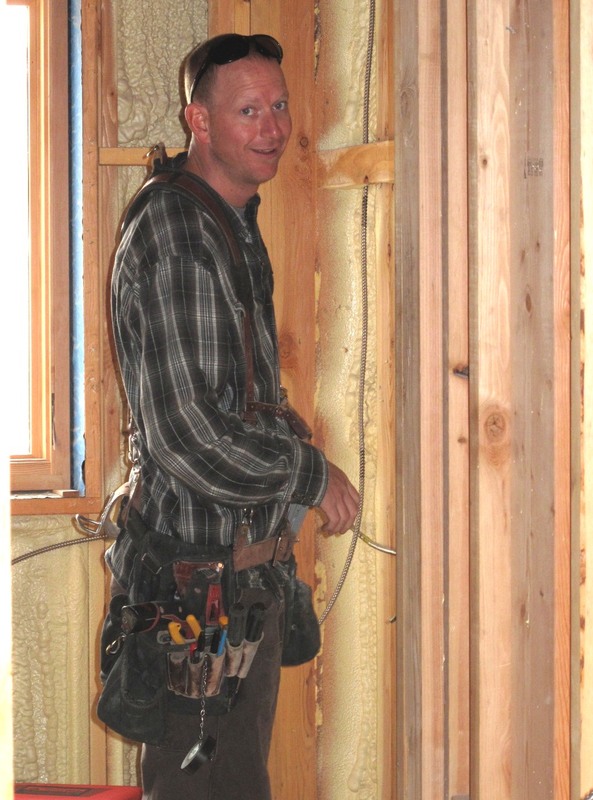 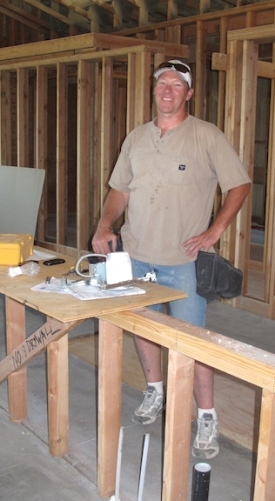 Chad with All Phase Electrical Systems works on the electrical installation. Justin installs the range vent. Jeff and Spencer working on the stainless steel gutter. 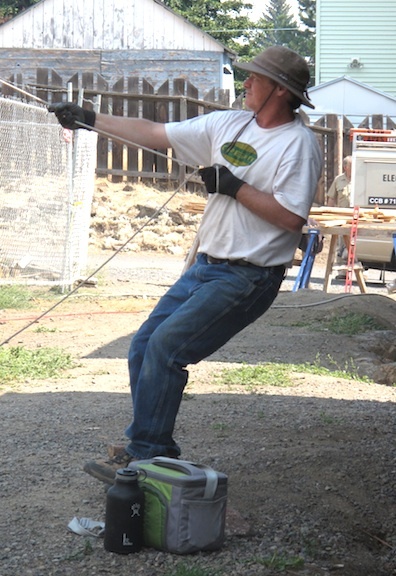 Ian Newby working the concrete pour for the irrigation cistern with Central Oregon Construction Contractors. Floyd Sapp with Cement Elegance diamond polishing the cement slab flooring in the living area. 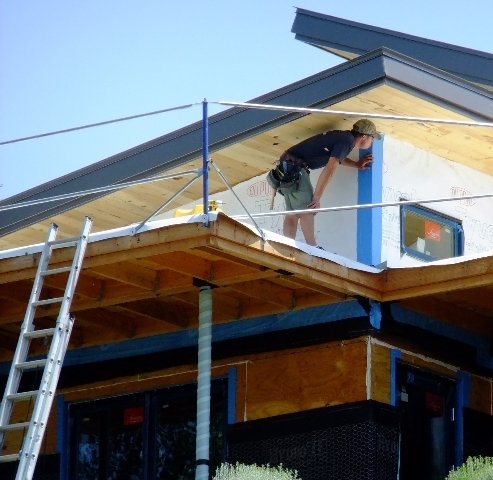 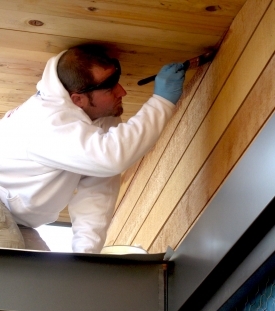 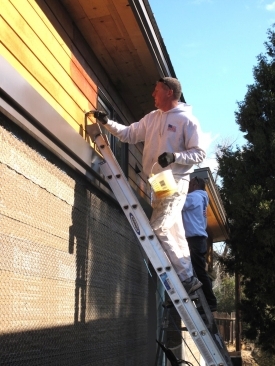 Blair with American Painting working in a tight spot applying penetrating oil to the FSC cedar siding. 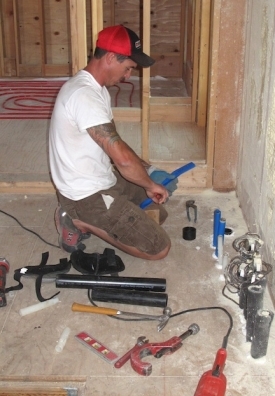 Beau with Parazoo Plumbing working in the mechanical room. 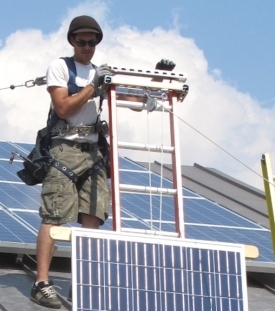 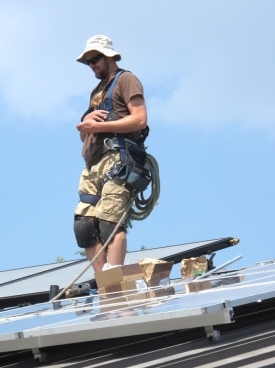 Lanny with E2 Solar hoisting PV modules to the roof. 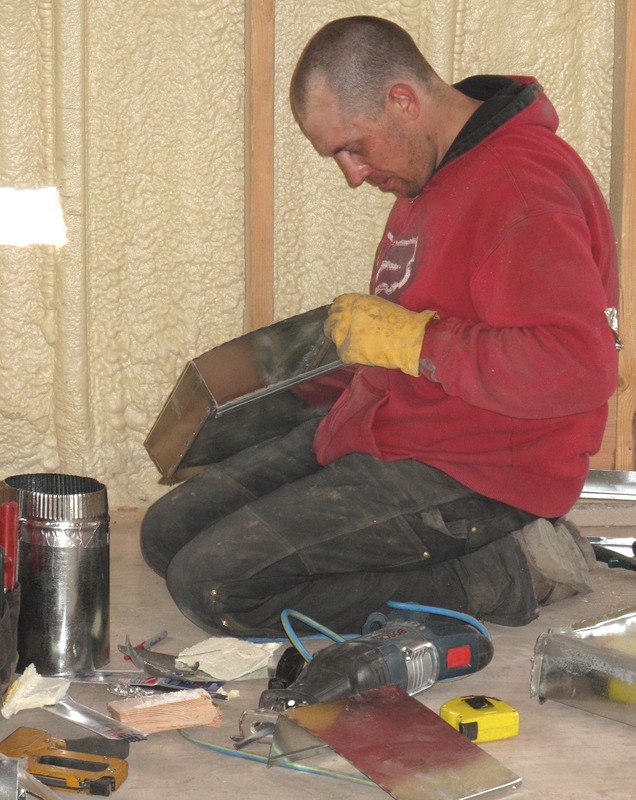 Mike with All Phase Electric installing the LED light cannisters. Ryan receiving the PV modules at the top of the ladder. 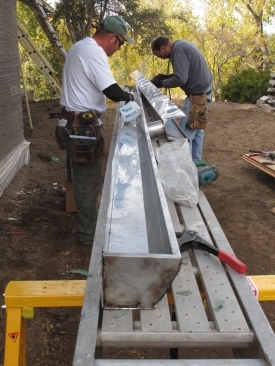 Rob Conrad, owner of American Painting, and Wade Henry, applying the sealing oil to the FSC cedar. 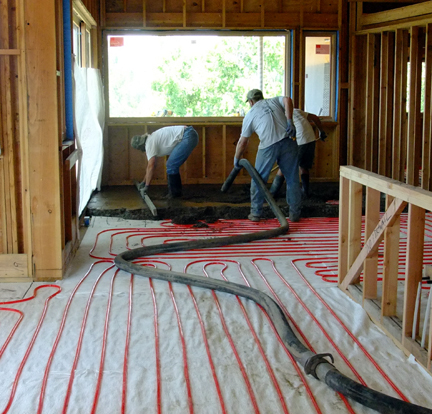 Keith Krewson and team with Central Oregon Construction Contractors pour the concrete floor in the main living area. 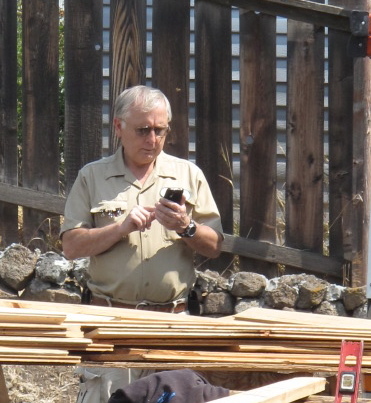 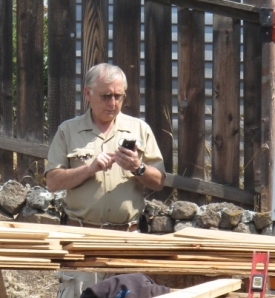 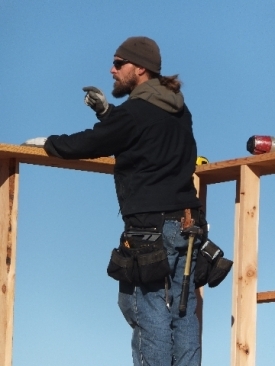 Scott Creson, carpenter works on the cedar siding. 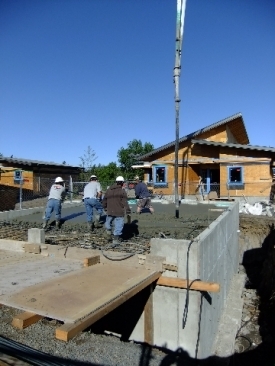 Central Oregon Construction Contractor crew pouring the cistern slab/lid. 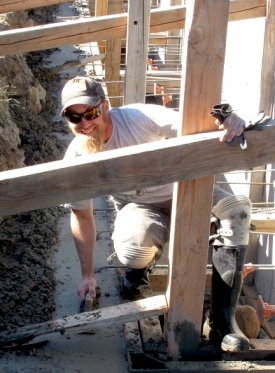 There is not a garbage dumpster on the Desert Rain site. Materials are kept separated in piles for recycling. 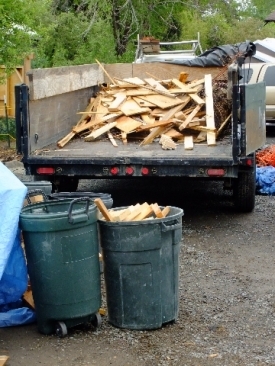 Anna Vacca arrives with a trailer to pick up the recycling as needed. There is a very small percentage that is actual construction waste. 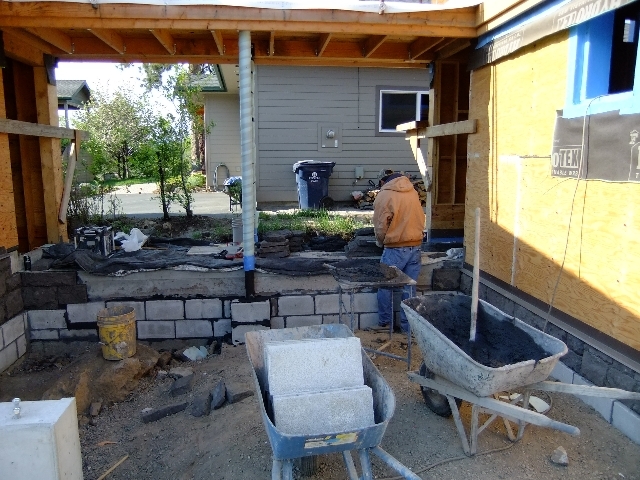 Masonry and stonework on the ADU. 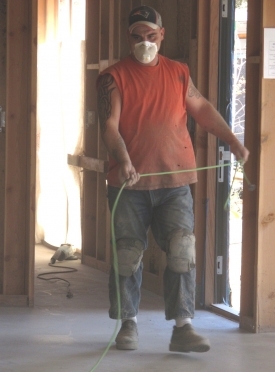 Jason Bozovich with Four Directions Construction, working on the framing.